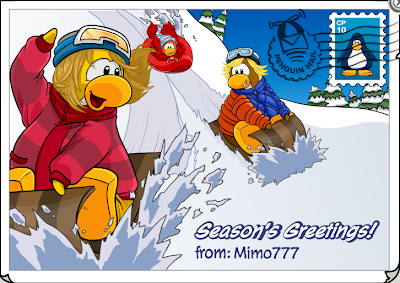 Club Penguin Cheats by Mimo777 Club Penguin Cheats by Mimo777: New Club Penguin Postcards and Iggy Music! 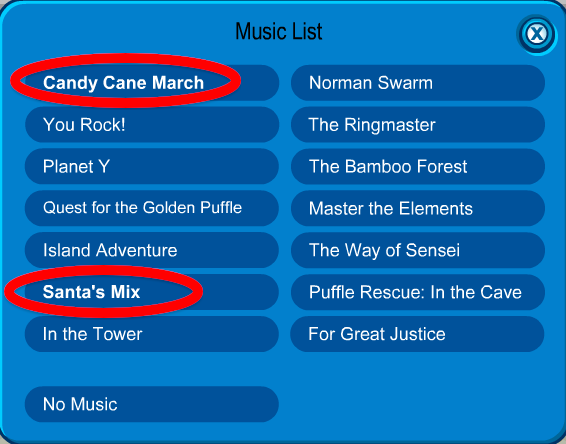 I like the Santa's Mix, don't you? Which postcard is your fav? I fuond a cheat Wen you play cart srfer the Lives were gone! cool huh? there is a new start page too! They don't even have a Merry Christmas Card. Bummer. I was on cp today checking out the create penguin page and when i type in "Flippers" it said that name wasn't aloud! 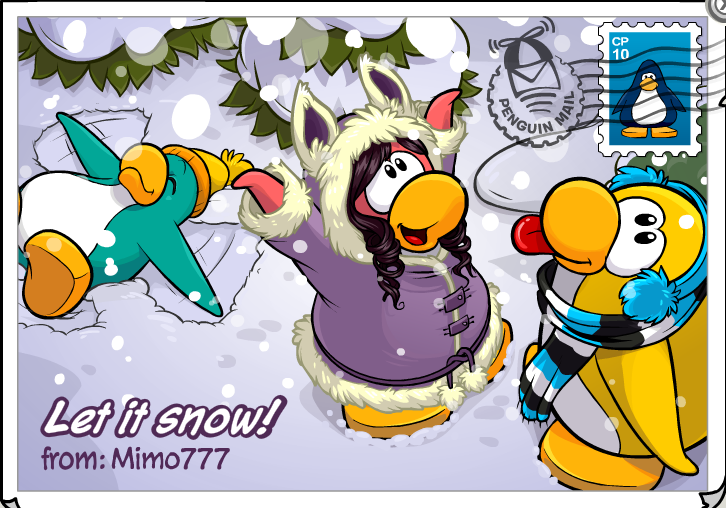 i don't get it because my penguin name is Flippers3666 and i've had it for 3 years. Can someone explain? that's a really cool glitch! LOL! 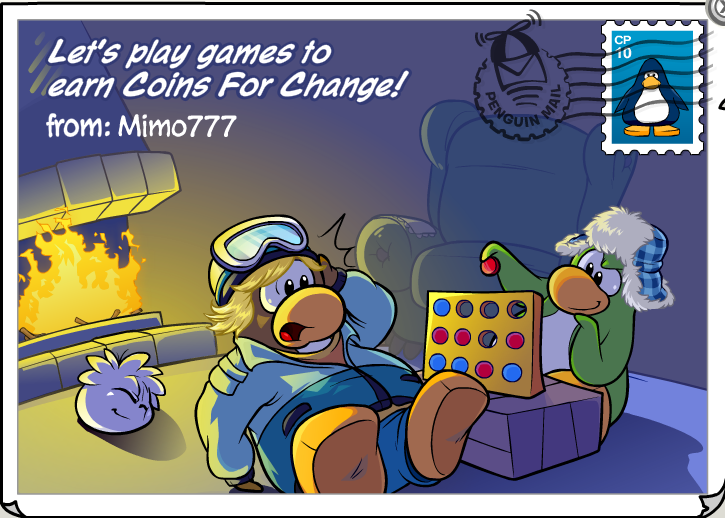 I like the one with the two penguins playing Find-Four. Nice spotting, but that path has always been there. It was there when we uncovered the dojo in the first place. i feel sorry for that guy when no one turns up thats why i want someone to tell him! 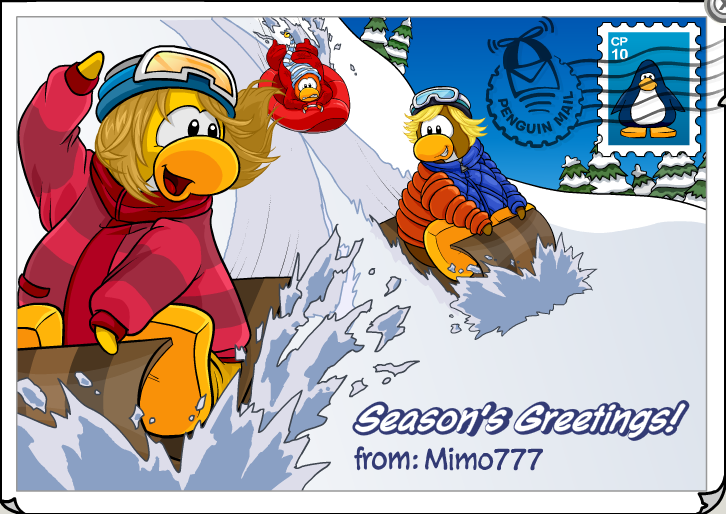 I think the postcards are also cool! Very festive! I like tihs one too! Its cool! Probably someone already used it. It's most likely. Well, acually you CAN(sorry for the caps) go to is iggy even if he's not your friend. 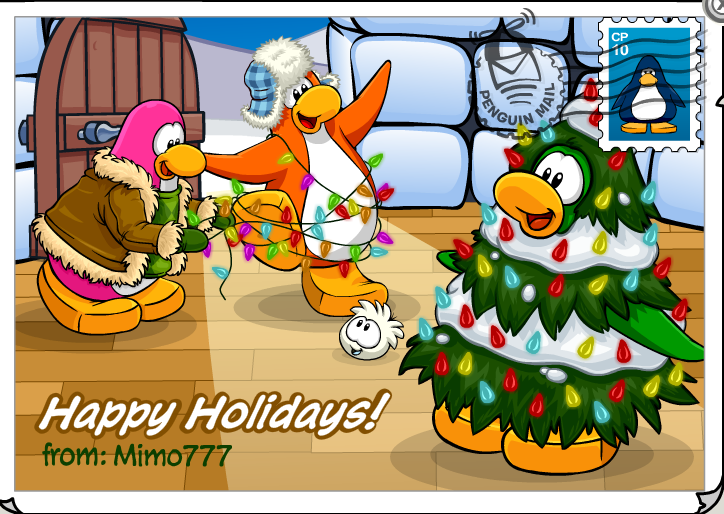 When you go to you're iggy, you will see two(now tree because of the contest)buttons. They say, Open Igglo and Edit Igloo. The Open igglo one can make you open your igglo on the map. the edit igglo lets you buy and put stuff in your igglo(members only). SO you can do it if he puts his igglo on the map. You better be presice about your moves then! Cool glitch, though. hey mimo check out the telescope at the beacon rockhoppers closer! 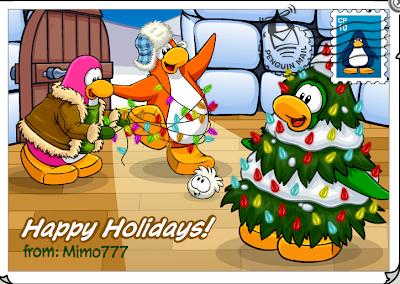 Ya, there's also a cheat where when you do a flip or something your penguin turns yellow, and theres a black puffle on your shoulder! Go figure. The reason it s "Holiday" party is for political correctness. If they celebrate Christmas, they will have to also celebrate the other holidays, so they call it a Holiday party but act like its a Christmas party. Why they can't just do what they want with their website, you got me. He will obviously have opened his igloo to the public, so that everyone can get in.